Children from Bishop David Sheppard CE Primary School on Devonshire Road remembered their grandparents with this delightful remembrance tree. It was created by the children and filled with words of love and prayers for their grandparents. 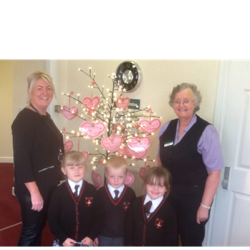 The children presented staff at Porter’s with the tree to display in their shop front, so that the whole local community could see it.